The plugin allows to customize the color and the tooltip for a region. It is also possible to add custom actions that are executed when a region is clicked. 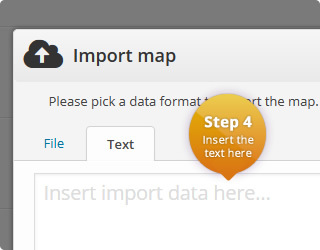 Copy the following text and click on "Import" in the plugin. 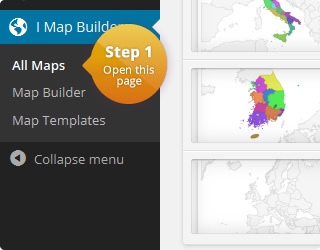 The first step is to open the "All Maps" page. On this page you will find an "Import" button. If you click on this button, a small window should open. 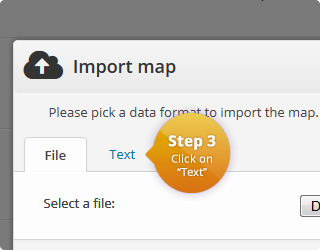 You have to select the "text" tab and insert the import data there. 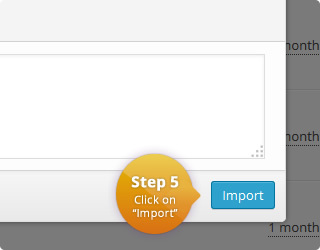 The final step is to click on "Import". The Map Builder should open with the given map. Note that you have to click on the "Save" button. Otherwise the map won't be imported. Width auto Width of the map in pixel. 'Auto' means that the map is centered in the available width. Height auto Height of the map in pixel. 'Auto' means that the map is centered in the available height. Display mode Regions Specifies the display mode of the map. Border resolution Provinces The resolution of the map borders. 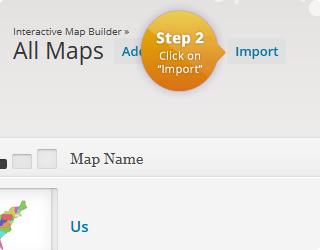 Tooltips On Allows to display a tooltip for highlighted map elements. Tooltips: Trigger focus The user interaction that causes the tooltip to be displayed. Tooltips: Use HTML On Specifies if the tooltips should use HTML. This allows to customize the tooltips even more. For example, if this property is on, it is possible to display images wihtin the tooltip. Executed when a marker/region is clicked. Click value can be defined for each map element.